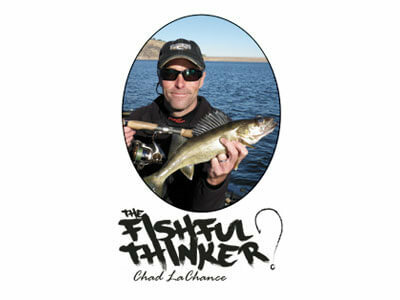 Quick, what do smallmouth bass, largemouth bass, spotted bass, white bass, wipers, stripers and pike all have in common? If you said they’re all fun to catch we’d agree in principle, but that’s not what I’m reaching for, at least not specifically enough. What I’d say is that is they all love to nuke a topwater lure in summer and fall and that for sure drives home the point that they are all indeed fun to catch. For the record, any fish that is fun to catch is simply more fun to catch on the surface. Truth. Given that wide range of fish we’re trying to trick, along with the even wider range of places they can be caught, it stands to reason that a well-prepared angler seeking maximum fun might need several topwater options. No problem - we have options. Let’s look at a few, focusing on the hard bait styles (as opposed to wire baits or rubber frog-type baits) because the hard baits have the widest fish species range appeal. Probably the most common topwater type in use is a popper. Like some other topwaters, they are defined by their action, such that poppers are designed to be, well, popped. The key feature of a popper is the cupped mouth, which catches water and air. When retrieved, starting with slack line and rod tip twitch, that mouth literally makes a “bloop” sound and the best of the breed also spit a bit of water forward each time. Poppers are at their best working in small areas because they are generally the slowest to retrieve. I use them where I have a small strike zone like the backs of pockets, along steep dam faces or bluffs and especially along tight shade lines. I also reach for a popper anytime I’m fishing around bluegill beds. They are available in many sizes and with various amounts of mouth cupping to fine-tune your presentation. Walking baits are another topwater named for their action when retrieved, but in this case, the name is not nearly so intuitive. Walking is a short derivative of a retrieve style known as “walking the dog”. In a nutshell, the bait is worked on semi-slack line, such that each pop of the rod tip pulls the bait forward slightly, but mostly just in the opposite direction from which it was facing at the end of the previous twitch. Done correctly, the bait will work rhythmically side to side with a bit of glide to its swagger, leaving a beautiful ‘V’ wake in its path. To be totally honest, the retrieve takes a bit of practice, but news flash - so does many other physical aspects of fishing that are valuable to master! Walking baits are great for covering a bunch of water, especially relatively open water, in short order. They are basically cigar shaped, come in a variety of sizes to match whatever forage you may have and are known to draw fish up from considerable depths as well; they are definitely not strictly a shallow water lure option. True walkers are at their best on flat water because they tend to jump waves and foul hooks. Now, where it gets confusing is when other topwater baits are applied with a walk-the-dog retrieve style. The very best poppers are also capable of walking the dog, such that they are even more versatile than the walkers themselves. The Bullet Pop 70 comes immediately to mind for this. Yes, I can still pop it in tight quarters, but I can also walk it when space allows. Poppers and walkers are the two most common topwaters in the hard bait genre, but they are not alone. Topwaters with various propellers are also an option. The props have the effect of added noise, vibration and water splash. They come in a couple of forms; the plopper-style that have a single, unbalanced blade on the rear and a two-prop style featuring a front and rear prop, typically each with two blades. The former is typically continuously retrieved leaving the ‘V’ wake and a bubble trail, all the while making a ton of noise. They tend to have larger profiles and are generally considered to be big fish baits. The later is most commonly ripped in short, aggressive rod snaps and is associated with irritating active fish into biting. Both styles of prop baits are at their best in flat water. At this time, it is best to point out that hybrids of all of these bait styles exist. Similarly, retrieve styles will differ amongst anglers. There are long, skinny walking poppers known as pencil poppers, short thick chuggers and even wakebaits that plod along just under the surface film. The key thing to remember is that in many cases, the fish are attacking the commotion as much at the lure itself, so pay attention to how aggressive or passive you are working your lure. I work most surface lures on old-school nylon monofilament because it floats and slows hooksets down, which is a very good thing as we anglers tend to get trigger happy when we can see fish bite. The rod is typically worked tip down and the reel only controls slack unless we’re talking plopper style lures. Other than that, the effectiveness of topwaters in summer is limited only by how much you fish them. Given the fun quotient, I recommend fishing them a lot!